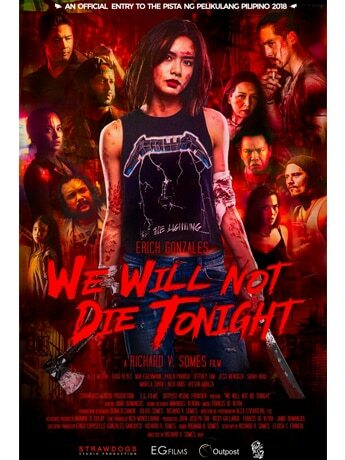 In “We Will Not Die Tonight”, Erich Gonzales plays Kray, a stuntwoman, an aspiring actress, and all around racketeer who can’t seem to have a break—in her career and in life. Like anybody who lives from hand to mouth every single day, Kray’s only option is to remain relentless in aspiring to hit the "jackpot" someday. But a botched deal gone into a total haywire will challenge her principles and skillset. It’s a matter of survival, and not a question of morals anymore.